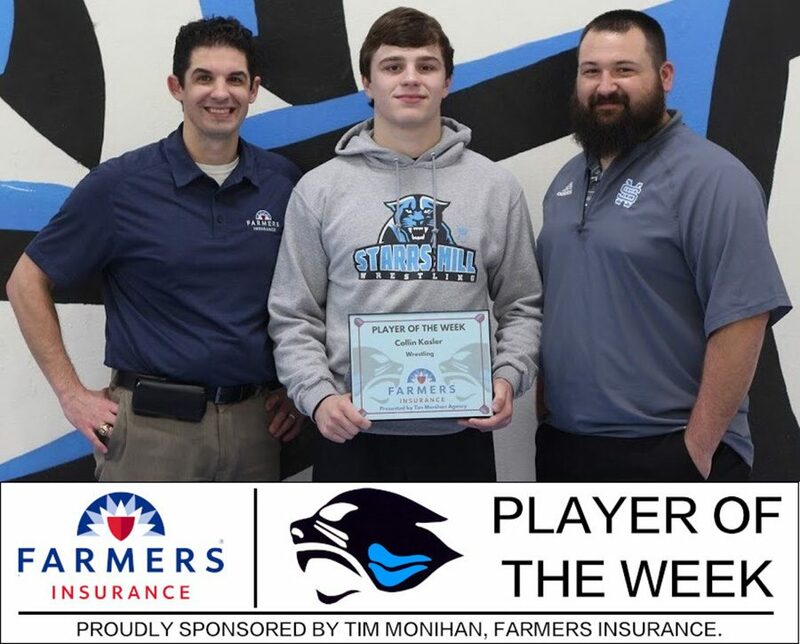 Tim Monihan and Farmers Insurance have named senior wrestler Collin Kasler the ninth Player of the Week for the winter sports season. Kasler has had an impressive senior season, boasting a record of 37-1. Besides being named Player of the Week, Kasler has also been crowned Wrestler of the Year for the Panther team, proving that he has been one of the best wrestlers in terms of leadership and talent. Kasler and his fellow wrestlers travel to Macon Wednesday through Friday this week to participate in the AAAAA GHSA State Championship. Kasler expects a first place finish while there. Garner expects that as well, along with a top-five finish for the team as a whole.